Have you ever thought about a tracking device for your kids? All parents want to keep their children safe. But the debates between the different parenting styles used to keep our kids safe are heated. Helicopter parenting, free-range parenting, tiger parenting, and parenting from the couch are styles about which most parents have strong opinions. Safety is defined a bit differently for every way of parenting. Free-range parents would never leash their child. Helicopter parents would never let their child take the subway alone. But when it comes to crowded events, theme parks, or giving our children the independence to venture out in the world alone, will the latest trend in child safety be common ground? Wearable technology with GPS tracking capabilities is paving the way as the newest approach to help protect our children. A wearable tracking device gives children the freedom to roam and parents the security of knowing where they are roaming. There are no clear winners in tracking devices for kids in terms of having an outstanding combination of features, functionality and usability and reviews for these products can be somewhat mixed. 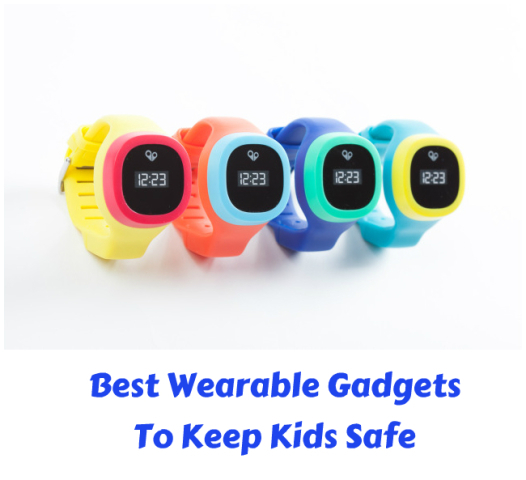 But by understanding the limitations on these products and focusing on what is most important to you, you can definitely get a great tracking device that works well for you and your child. Here are 10 of the best child tracking devices on the market. Based on your needs, I have listed GPS enabled devices, GPS enabled devices with two-way calling, and devices that will track your child but do not have GPS capabilities. They are listed in each category from the most expensive to the least. Prices vary as the layers of protection and level of technology increase, but the goal of each device is the same: child safety. 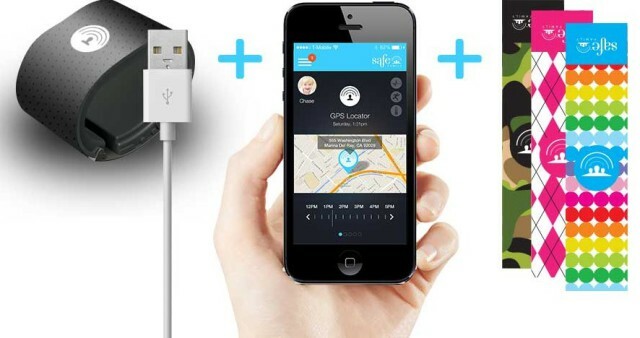 Trax Personal GPS Tracker is the most expensive GPS tracking device on the market but offers top of the line results and intricacy. Trax is weather and water resistant, durable, and can be slipped into a child’s pocket, clipped onto a backpack or article of clothing, or worn on a lanyard. Once on, an app manages geo-fences, speed limits, and real-time mapping settings determined by the user. Geo-fences are predetermined boundaries and safe zones parents can create on the app. When the Trax goes in and out of these geo-fences parents will be alerted. 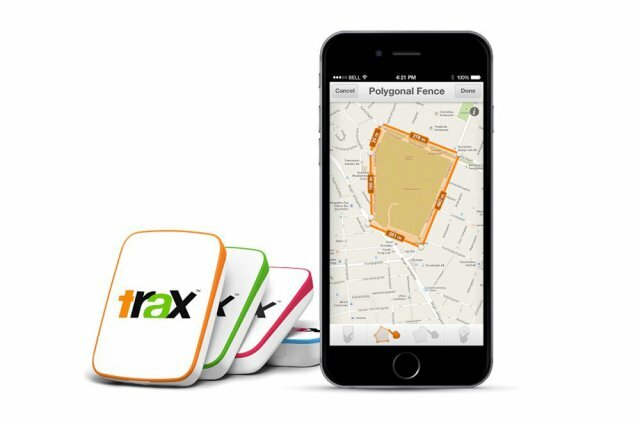 Trax geo-fences do not have size limits and a user can set up an unlimited amount of them. By using the smart phone’s camera, parents can use augmented reality features to determine how far away and in which direction the tracking device is located. Instead of seeing your child as a dot on a map, this feature is like someone pointing to a spot and letting you know they are “right over there”. Multiple Trax units can be managed through one app, and Trax can be used in 33 countries, offering coverage for travel. All GPS tracking devices require a monthly subscription through a cellular service or the device’s parent company, but with a built-in, pre-paid SIM card, Trax is free to use (after initial purchase of the device) for two years. Battery life is approximately one day. 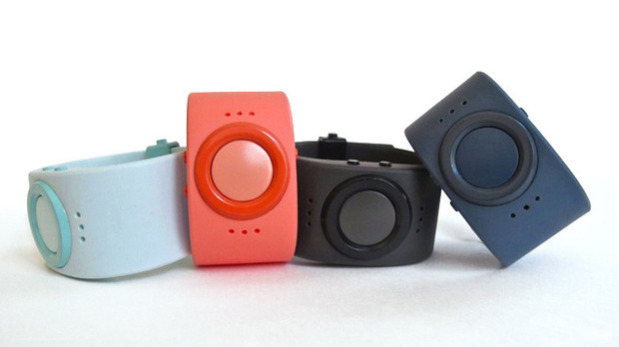 Paxie, by SAFE Family Wearables, is one of the newest wearable tracking devices on the market. It also offers the coolest styles a child will want to wear. The Kids Paxie Band comes with changeable fashion designs and a lot of fashionable bells and whistles. Using an app, Paxie provides pin-point GPS location and boundary settings to create safe zones. When the boundary is crossed, an alarm will sound on a parent’s smart phone. Unlike other GPS tracking units on the market, Paxie also tracks your child’s heart rate, activity level, and ambient temperature. Paxie was designed to prevent accidents like heat stroke and to promote a healthy lifestyle, both necessary for safe kids. Adding to the security of the Paxie is the Band Removal Alert, which lets a parent know if the tracking device has been removed or tampered with. Mulitple Paxie Bands can be managed through one app. Orders include three months of free data then a monthly subscription for GPS tracking is required. HereO is a wristwatch and GPS locator which uses Wi-Fi technology to allow parents to receive real-time locations and set geo-fence safe zones. Its design is fun and kid-friendly as well as lightweight and water resistant. The HereO app can be used to receive alerts about battery life and a child’s location when they leave and enter an established safe zone. The app can be used by all family members to send notifications of their location. If the panic button on the HereO watch is pressed, an alarm and child’s location is sent to all family members using the HereO app. Family members also receive an alert when the watch is removed. An additional lock can be used to be sure a child can’t remove it. HereO can be used in over 120 countries, providing the widest range of cover for travel. Battery life is about 48 hours and a service plan is required, though the first three months are covered with the purchase of HereO. 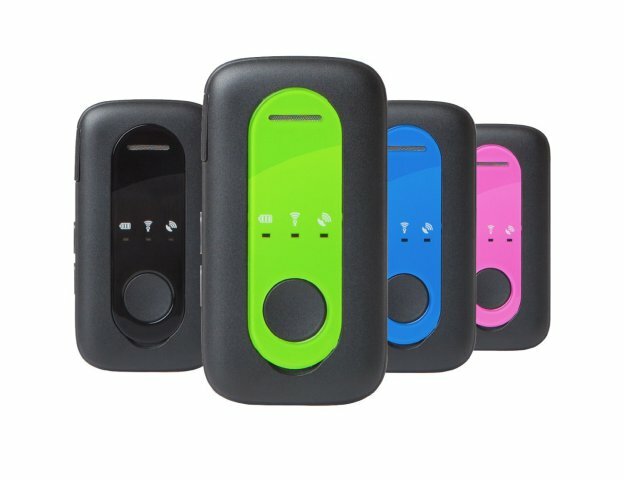 PocketFinder Outdoor Personal Locator is a GPS tracking device which can easily be slipped into a child’s pocket, backpack, or hooked onto a belt loop or shoelace. Like all GPS tracking devices, a monthly service plan is required. Roaming packages are available for trips outside of the United States. 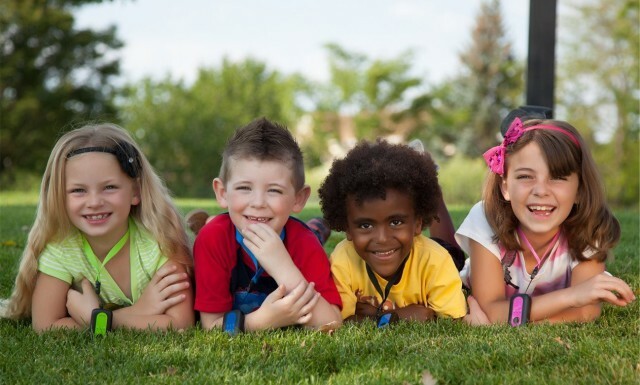 The PocketFinder uses GPS technology to always be able to pinpoint your child’s location, which can be tracked on a computer or mobile device with an app. PocketFinder enables parents to set up geo-fences and receive alerts regarding battery life, which, depending on the power option selected, is one to five days. Parents will receive email and text message notifications if a child leaves and then arrives at a designated fenced area. Speed limit alarms can also be sent to a device if a teen driver or babysitter exceeds the set speed limit parents set. If necessary, 60 days of information regarding location, speed, and altitude can be viewed. Tinitell is a wristphone and GPS locator which uses cellular service and Bluetooth technology to stay in touch with children. Once Tinitell is purchased and the app is downloaded to a smart phone, an unlimited about of numbers can be added to Tinitell’s memory. Using a single button and voice recognition software, a child simply says the name of the person who they want to call; he or she can call another Tinitell wearer or any telephone number. 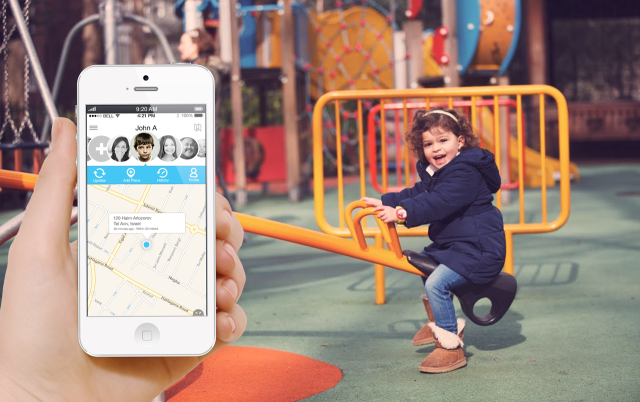 The built-in GPS gives parents and caregivers the location of their child too. Tinitell is a one-touch, easy to use phone and tracker. It is water and weather resistant and works with any cell phone carrier. A monthly service plan is required. The Amber Alert GPS Child Locator offers a lot of features and peace of mind, but is only available through an AT&T monthly service plan. With the service plan, this tracker offers two-way calling, syncs to a smart phone app, sends text or e-mail alerts, and allows parents to set up to 20 safe zones. When the SOS button is pressed, a call is made to the primary contact number selected by the parent, but the alert can also be sent to 10 other users who can also be made aware of your child’s location. Parents can call their child too and have the option to just listen in to determine if all is well. The “bread crumbing” feature allows parents to set up timed notifications of their child’s location; notifications are sent to a smart phone in timed intervals from five minutes to two hours. Notifications are also sent when a child leaves one determined safe zone and enters another. Safe zones can include school, the park, or a friend’s house. Speed limitations can also be determined. Parents will receive an alert if a designated speed is surpassed, keeping babysitters or teens in check. 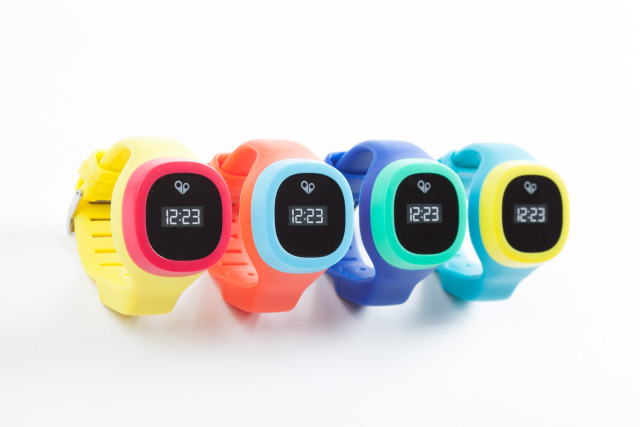 The kid-friendly tracker is wearable with a lanyard or wrist or ankle strap and has a battery life of 40 hours. BiKN comes with tags that can be hooked onto a child’s backpack or clothes and a smart case which attaches to your iPhone—plans to make it Android-friendly are in the works. 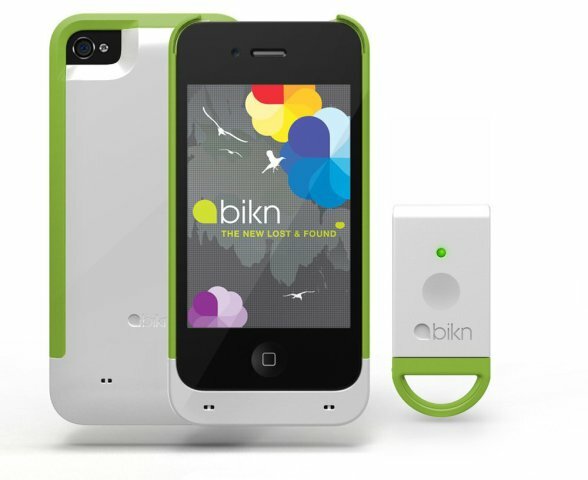 Once the free app is downloaded to your phone, BiKN can keep track of up to eight color-coded tags using the two-way radio-enabled smart case. Once parents tag a child, they can choose to leash, page, or find a tag. A tagged child can be found by tapping the “find” button which shows how far away he or she is and in which direction. An alarm sounds when you have found the tag. “Leashing” a child is done by setting a distance limit on the app. An alarm sounds on both the tag and smart case if the child goes outside of that limit. If older kids and family members are about to head in different locations at the mall or an amusement park, they can be tagged and then “paged”. If the iPhone should be lost, the tags can be used to find it by sending a signal to your phone that will make the case beep until you find it. BiKN’s range covers about 250,000 square feet. My Buddy Tag uses Bluetooth technology and an Android or iOS app to help you keep tabs on your child. The actual tag is a small disk which can be worn looped through a shoelace or as a wristband. It can also be slipped into a pocket or backpack. The app, which can manage multiple tags, allows parents to set distance limits for their child. When the boundary is broken, an alarm goes off on the parent’s smart phone. The Last Seen Location feature emails the date, time, and map location when a child leaves an established boundary. The device’s range is about 120 feet. 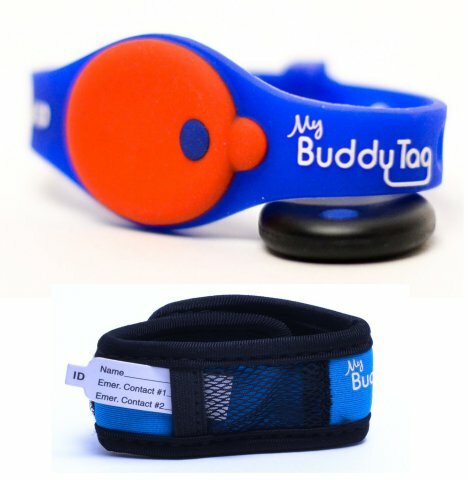 The Buddy Tag has a panic button on it too which sends an alarm to a caregiver’s smart phone when pressed by the child. The Buddy Tag is water resistant but sends an alert to a smart phone if it is submerged for 10 seconds or more, which helps to prevent accidental drowning. For added protection, the wristbands come with personal ID inserts so parents can write down contact and medical information in the event someone finds a wandering child before a parent reaches them. 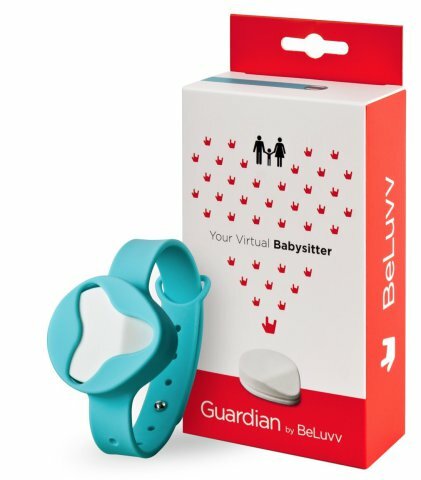 BeLuvv Guardian Guardian Device is another Bluetooth enabled, wearable tracking device that uses an app to let you know when your child wanders too far. The soft, irritation-free wristband comes in three colors and holds a water resistant tracker. Using the BeLuvv Guardian app, parents can set distance limits up to a 45 meter radius. When the boundary is broken an alarm is sent to a parent’s phone. The app also allows others to “co-guard” a child so an alarm can be sent to multiple trusted caregivers. Because the makers of BeLuvv Guardian want every child to stay safe, for every two Guardians you purchase, one is donate to a family who needs one. Mommy I’m Here is one of the simplest and cheapest child locators on the market. 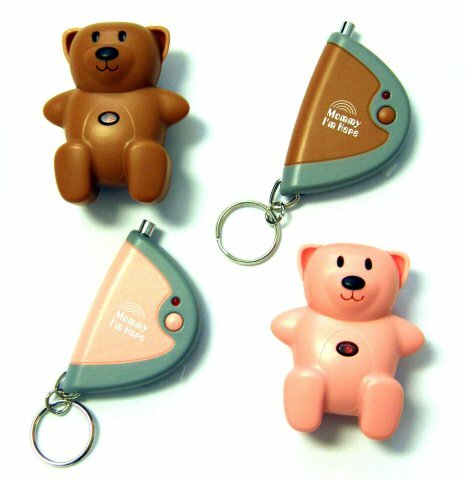 It does not have GPS capabilities but uses a keychain transmitter to send an alarm to a wearable, sturdy, and water resistant teddy bear. If a child wanders too far or out of sight, a parent simply pushes the button to send an 86-decible alarm to the bear. The transmitter must be about 150 feet of the locator to work. Mommy I’m Here is the electronic and wireless version of child harnesses and tethers used for trips to the park, store, or vacation excursions. When little ones run ahead and briefly get lost in a crowd or different grocery aisle, the alarm can reduce a child’s panic by letting them know mommy or daddy are looking for them. The alarm gives parents an audio cue of where to find their child. The transmitter runs off of a 12V battery and the locator runs off of two disc batteries. Batteries are included with the purchase of Mommy I’m Here. As long our children are safe, there is not a right or wrong parenting philosophy. We all have our own style when it comes to raising our children; we do what works best for ourselves and our kids. These 10 tracking devices are meant to help keep our children safe. They are equipped to keep up with our busy lives, our quickly advancing and technology-filled world, and our adventurous children. If you feel that your family would benefit from using a tracker, I recommend the ones I've listed above.